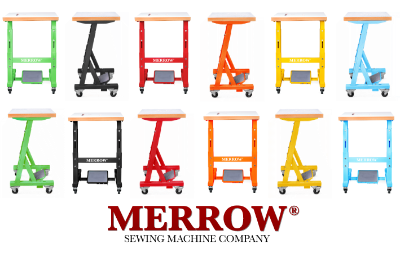 The MERROW HELMSMAN TABLE is designed to be the most efficient, reliable, and portable table for all sewing solutions. 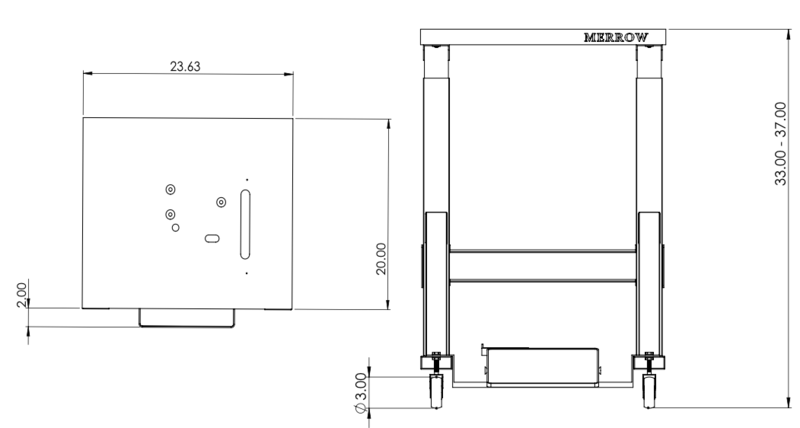 It accommodates all standard motors as well as air motors, and can be configured for wet environments. 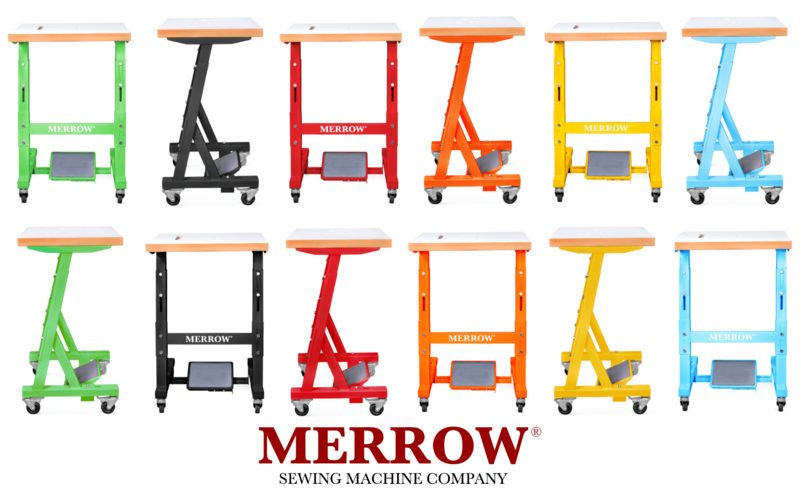 The MERROW HELMSMAN TABLE is the latest portable sewing solution, designed to be easy to assemble, lightweight, and durable. 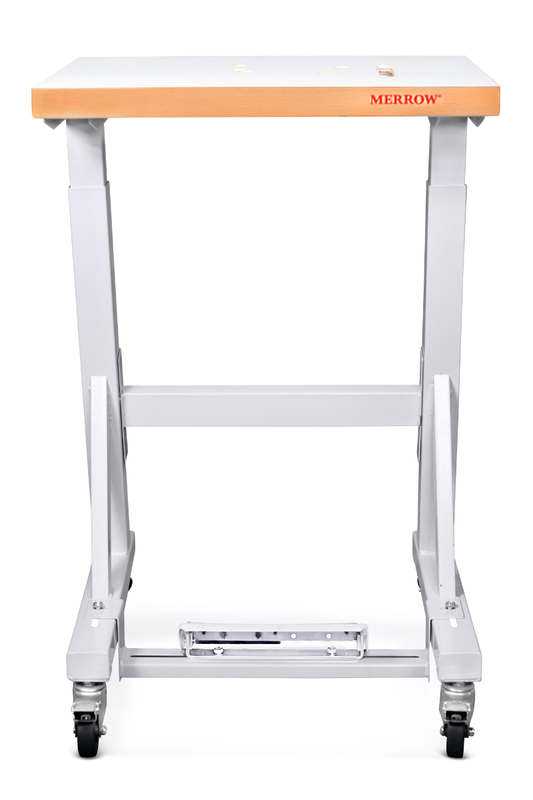 It is the narrowest table on the market, featuring a frame that is adjustable in height and seated atop locking wheels. 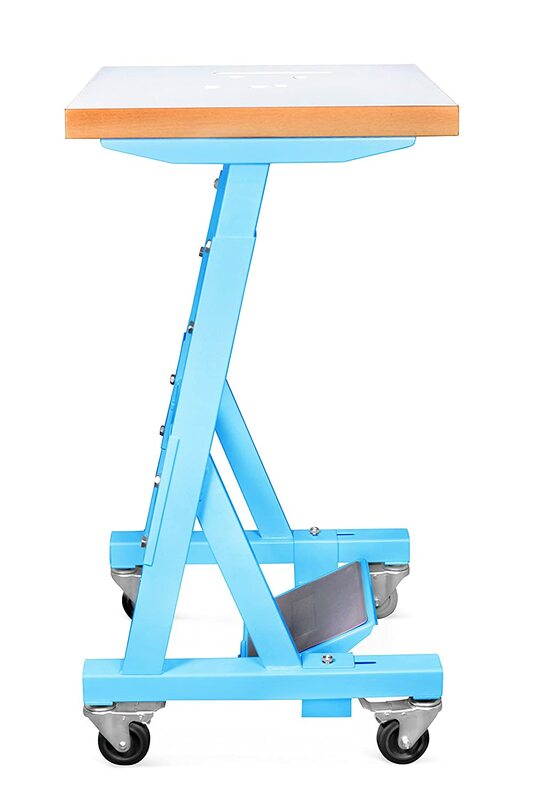 It's design makes it both ergonomically friendly and also highly transportable, as it can be adjusted for any location or environment. Additionally, it can be used with an air, clutch, or servo motor. 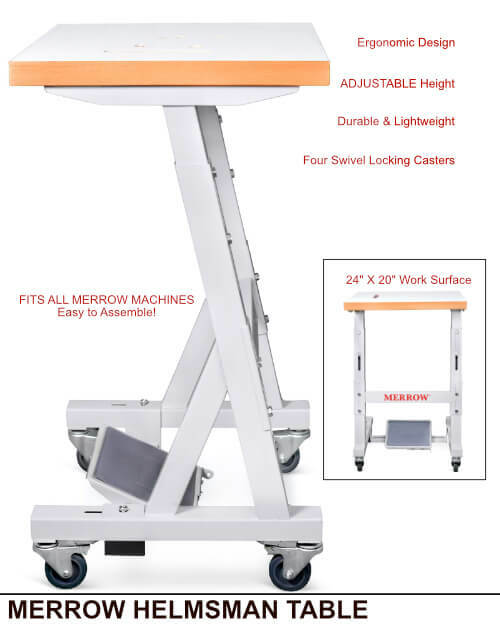 The MERROW HELMSMAN TABLE is an easy way to increase productivity though greater machine mobility and table customization. 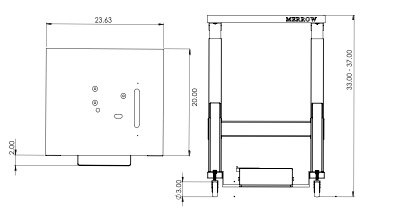 Additional configurations for wet environments available.